Years before I have come across a very good article regarding Real Estate investment vs Equity Investment. It was actually a interactive workshop regarding investments, conducted one of the leading Equity Investors in India. I still remember the main content that was shared. If you could spend your next 10 mins reading this article, it will definitely help you make a investment decision on whether to Buy a house on EMI or not. About a year back I have attended a investors meet up, where the host was one of the esteemed investors , he talked about comparison between Equity Investments and Real Estate investments. Let me share the details here. Am sure, your next 5 mins that you gonna spend reading this post might really help you making an important decision in your life. Host: Before we start the session, i have a question for you all. Give me names of World’s Rich & Famous equity investors. Warren Buffet, Peter Lynch, Benjamin Graham, Carl Icahn, Anthony Bolton. Host: Five names, Ok. Now Give me names of World’s Rich & Famous Property investors. Investors were not able to give even a single name for sometime. One of the investor gave the name of McDonald as they own several properties across the world. Host: You were able to give me 5 names of Equity Investors instantly and took sometime to take name one famous property investor. Why so? Can you guess how many times have the property prices appreciated on an average across India in last 18 years? Several investors replied mostly in the range of 6x to 10x. Host: Exactly, you are absolutely right. Mostly property prices have appreciated 6x, 7x, 8x and in very few cases slightly more. Mostly it’s 8x and the person is happy that he did the property investment then, else it would have not been affordable today. Any idea how many times has money multiplied in Equity MFs in last 18 years? Several investors replied in the range of 8x to 30x. Host: If someone was lucky enough and invested in a fund which has performed the best in last 18 years his money has multiplied 82x. 1 crore invested in 18 years has grown to 82 crores today. If someone was unlucky enough to have invested in a fund which performed the least, even he is jumping with joy as his money has multiplied 20x in 18 years. If someone would have invested blindly without any advice in any of the 3–4 available diversified equity funds at that time 18 years back, he would have got average kind of a return where his money has multiplied 45x. He would have bought 5 flats in the same building where the person did property investment 18 years back and still has 5 crs left in his hand. Private Sector Equity Funds in India started in 1992, but if I take 1992 as a start year we would have only 1 fund for comparison. In 1997 we had atleast 5 AMCs operating in India and atleast 10 Equity Funds. Hence I have taken 1997 as the base year for the comparisons. Also 18 years covers 2 economic cycles. 1997 is neither the peak of the market nor was the market at its bottom. In 18 years money has multiplied average 45x inspite of all possible eventualities like Ketan Parekh scam, Kargil war, US Twin Tower attack, 2008 Global meltdown, Political fallouts etc. still the money has multiplied 45x and also Equity MFs offer you easy liquidity, are absolutely hassle-free and are TAX-FREE too. Whereas in property investment, money has multiplied 8x, neither offers liquidity not is tax-free and also comes with lots of hassles like upkeep / maintenance, changing tenants and also the selling is too tiresome. Host: Now the other thing that must be on your mind is ‘Equities are Volatile’ & ‘Property has Zero Downside’. Those who believe in it are probably looking only at the last few years of good times and not the entire cycle. Equities are undoubtedly more volatile but it’s an absolutely wrong notion that property investment has zero downside. Let me give you several examples. Host: Most of the full page property ads that are currently doing rounds in the leading newspapers have been there almost since the past 3 years indicating that after continuous bombarding of the ads the projects still have not managed to sell out totally. In last 3 years since 2013, the only buyers are the ones who are actually the end users who are buying the property for their personal use, whereas all the investors who have bought 2/3/4 properties have all turned sellers. Currently there is no demand from property investors. At some point of time in 2020 or by 2025 or by 2022 I don’t know when but there will be a stage when investors will be tired of seeing flat to negative prices for 5/7/10 years and will sell in frustration like they did during 2002–2004. Host: Some believe you can’t go wrong in a property investment because ‘Land is Scarce’. How many of you feel that this statement carries any relevance? 10–20 years back we used to see 3 floor buildings. All these buildings have gone / are going for redevelopment and on the same land you see tall towers of 10 / 20 / 30 floors being built and in some cases even more. So, we are growing ‘vertically’… ~7 times more! Furthermore have a look at this interesting analysis by Mr. Ajay Shah of the National Institute of Public Finance and Policy who is neither an equity investor nor a property investor, an absolutely unbiased study / analysis. Host: Some have become world’s richest by having businesses in IT, Telecom, Retail, Casinos etc. But what would interest all of us is that 4 of the world’s top 50 richest billionaires feature under the head ‘Investments?—?Equity’ and none features under the head ‘Investments?—?Property’. With all these examples and facts, it is clearly evident that Equity Investments always yields much better returns than real estate investments. 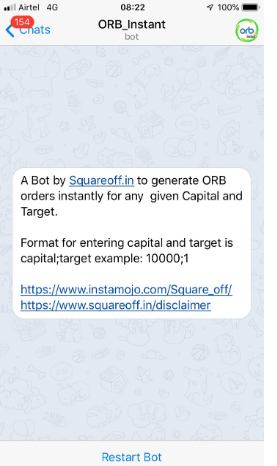 For more such analysis and articles, follow us at our Telegram Channel and blog.